They say history is written by the winners, and in the case of Richard III that seems to be a tragedy indeed. 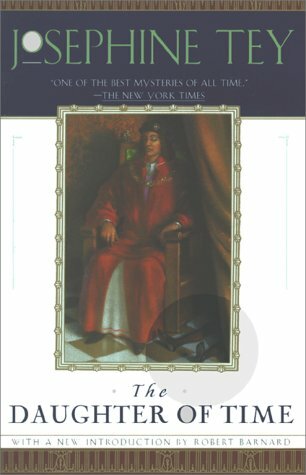 Richard III is most often pictured as the hunch-backed murderer of his young nephews, Edward and Richard, better known as the “Princes in the Tower.” In Josephine Tey’s The Daughter of Time, Alan Grant of Scotland Yard takes up the question of Richard’s guilt to pass the time when he’s in the hospital recovering from a broken leg. I’ve never been wild about the statement that history is written by the winners, because that’s so often a lazy way of discounting traditional accounts without really thinking about them. However, Grant is not lazily dismissing the traditional image of Richard III. He methodically assesses the evidence against him and finds it lacking. There’s no reasonable motive, there are no reliable witnesses, and there is little evidence that the boys died during Richard’s lifetime. The most authoritative contemporary source, Thomas More’s account, is called into question when Grant realizes that More himself was only 8 years old when Richard died and most likely got his information from the biased John Morton. This is a fascinating picture of how history can get written and rewritten and even the most baseless rumors end up standing the test of time. (One wonders whether 400 years from now people will be reading campaign ads as if they were reliable histories.) It’s also quite the page turner—no mean feat when the book takes place entirely in a single hospital room. The mystery itself is interesting, but I also really liked Grant himself. He’s clever and funny and great fun to read about. 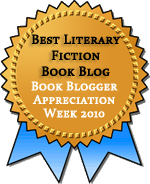 I highly recommend The Daughter of Time for fans of historical fiction and of mysteries. Edited to Add: The Daughter of Time won the Grand Prix de Littérature Policière Prize in 1969, so it qualifies for the Book Awards II Challenge. That puts me at four down, six to go. And now for a quick Read-a-Thon Update. I’ve read 432 pages, raising $43.20 for the classroom libraries I’m donating to through Donors Choose. I’m feeling pretty alert, even though it’s nearly midnight (about 30 minutes past my usual bedtime), so I’ll probably manage at least another hour or two. I’d love to stay up for Carl’s RIP Mini-Challenge, but that might be too late for me. I’ll be reading Persepolis next in order to increase my page count and rest my eyes from all those teeny tiny words! I really loved this book when I read it a while ago! You’ve done really well with your fund raising and your readathon! I so much loved this book when I first read it. I was completely convinced by the history. I now have to wonder — since there aren’t any footnotes or anything, are we being led up the garden path? (Yes, I’m a footnote addict.) But for a mystery, it’s terrific. I’d have loved a whole series just like this. Glad that you liked The Daughter of Time. Over here it’s 8 am, so I just got up. Great work on the reading and commenting. I ususally drop off to sleep by 10 am and no matter how hard I try by that time I am no longer able to make sense of the words on the page. I read DOT a while ago. The story itself is fascinating, but I found it hard to believe that Grant woudn’t be aware of certain specifics of the history of his own country. Other than that, though, it’s interesting to see how revisionist historians can be. Marg and Anna: Thanks for the encouragement! This was a great choice for the Read-a-Thon and a great follow-up to The Founding. Jenny: I do wonder about the whole garden path thing. Tey generally did a good job mentioning which primary sources and which historians Grant was reading, so that’s helpful. But then again, Dan Brown did the same in The Davinci Code, and when theology geeks like me went to the primary sources it was easy to see that the quotes were taken out of context, and the secondary sources are not considered credible scholars. Could the same be true here? Perhaps. It do get the impression from the little I’ve read elsewhere that legit historians do question the usual characterization of Richard III, so I don’t think she’s out on a limb the way Brown was. Katherine: I hadn’t encountered Grant before as a character, so I don’t know if he’s usually depicted as pretty knowledgeable. I will say I’ve sometimes encountered startling gaps in people’s knowledge (including my own), so his lack of historical knowledge seemed credible to me.